Service, Therapy, and Emotional Support: Which One Is Right For You? We have all seen a person with a disability holding onto a dog with a vest that says “Service Dog” on the side. You may have also seen a military veteran walking through your local department store with a dog glued to his side. What you may not have seen recently is a dog in a hospital or at a nursing home. Whether it is a therapy dog, emotional companion or a true service dog, any dog can fulfill these roles with some training and certification. In this article, you will find what you need to know if you want your bulldog to fulfill that need. The Americans with Disabilities Act (ADA) defines a service dog to be any guide or signal dog, or other animal that is trained to assist someone who is disabled. A service dog works with and for their handlers by helping their handler stay safe. If the animal meets this definition, they are considered a service animal even if they are not certified or licensed and are protected under the ADA. The ADA also protects the rights of those with service dogs to be escorted in public places such as businesses, restaurants, hotels, etc. A service animal performs actions that the disabled person cannot do for himself. Seeing eye dogs are the most familiar type of service animal. There are other types of jobs that a service animal can also do. They can pull wheelchairs or carry things for their handler. If their handler has a hearing impairment, they alert them to sounds. They can also help their handler keep their balance. They service dog can go through rigorous training to learn these tasks. A therapy dog provides physiological and psychological therapy to patients that are not their handler. They are calm and friendly dogs with stable temperaments. They can visit schools, hospitals, and nursing homes where they socialize with many different people. They need to certification by any one group and must take part with that group. These dogs are not protected by the ADA and are not allowed in places where pets are prohibited. 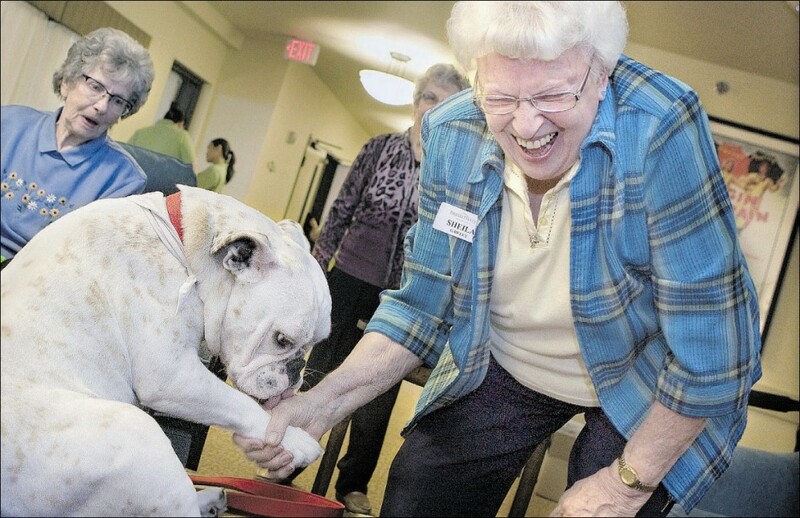 Therapy dogs have many jobs other than just visiting hospitals. They can spend time with children that have a learning disability gain confidence in reading aloud. They also are trained to provide affection and a calming presence within medical settings or disaster areas. Many colleges allow therapy dogs on campus to help students lessen their stress and relax before mid-terms or their finals. Emotional support dog’s main job is to give emotional comfort for their disabled handler. If a person suffers from devastating depression, an emotional support dog can counter the effects by showing unconditional love and affection. They do not have to go through any training to provide emotional support. To call your dog an emotional support animal, you need a physician or other medical professional to prescribe it to you. You must also have a verifiable disability to qualify for that prescription. Under federal law, a person must meet the federal qualifications to a disability. They must also have a letter from their doctor saying that having an emotional support dog would be beneficial. Landlords cannot turn away a possible tenant due to having an emotional support animal and is covered under the Federal Fair Housing Amendment Act of 1988 (FHAA) and Section 504 of the Rehabilitation Act of 1973. This allows a property owner to give a tenant accommodations with will allow a person to rent a place to live. A person can also ask for a waiver for the “no pets policy” many landlords have. 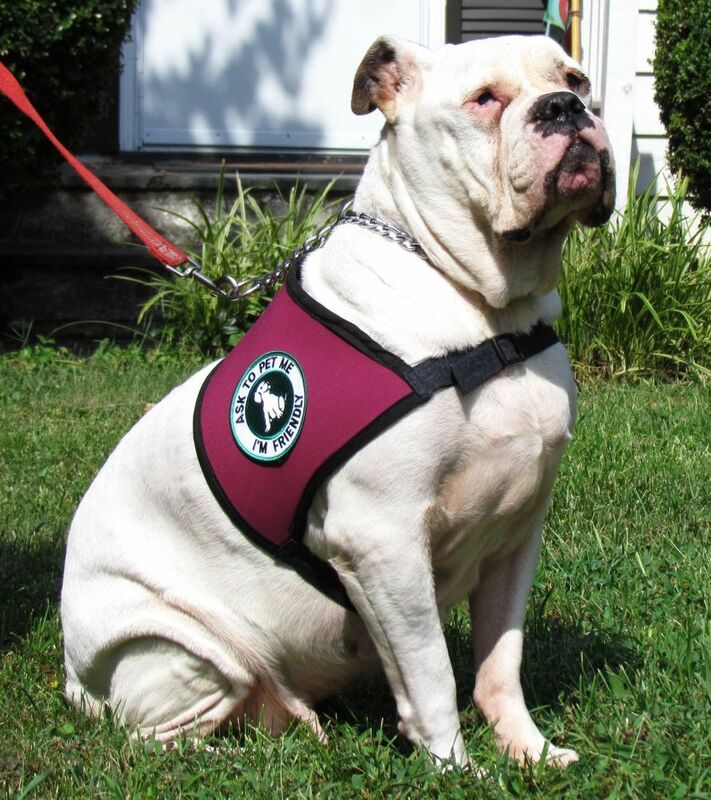 If you, or someone you know, suffer from a physical, mental, or emotional disability, there is a role for any dog. 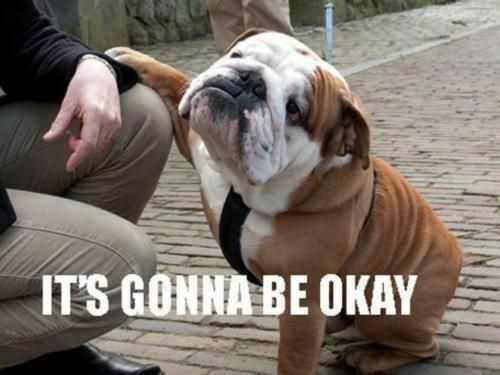 Bulldogs make great emotional support or therapy dogs because they just want to show affection. They love to snuggle and sleep and with their calm personality, they are sure to provide the right kind of affection for anyone. Make sure you check your local laws and regulations to avoid any complications.